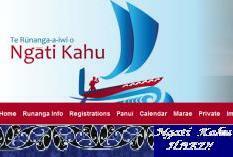 Karanga Tokerau Festival Forms Online - REGISTER NOW!!!! Click on the Festival page to download registration forms for marae teams, stalls, etc. More to come. Read more about Karanga Tokerau Festival Forms Online - REGISTER NOW!!!! The report of additional activities undertaken by the Corporate between Friday 18th and Saturday 26th September has been posted to the 'Private Area'. The August report on those additional matters which have arisen since 19th August, when the Runanga mailout was released, has been posted into the 'Private Area'. 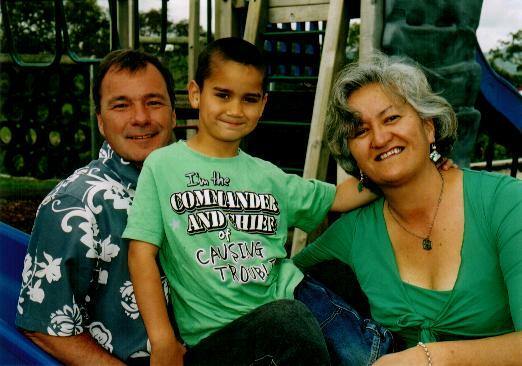 Catherine Davis on MTV's "New Migration"
Catherine Davis of Te Rarawa and Ngati Kuri was recently profiled on Maori Television's "New Migration" programme. You can watch the programme on the link below. 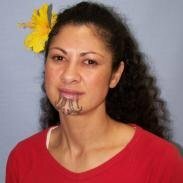 Nga mihinui ki a Catherine ara tatou katoa no Muriwhenua. Read more about Catherine Davis on MTV's "New Migration"
Te Runanga-a-Iwi of Ngati Kahu is a party to the Amokura Family Violence Prevention initiative in Tatiokerau, along with Te Aupouri Maori Trust Board, Te Runanga o Te Rarawa, Te Runanga o Whaingaroa, Te Runanga-a-Iwi o Ngapuhi, Te Runanga o Ngati Whatua and Ngati Wai Trust Board. In July 2009, prior to a Citizens-Initiated Referendum on whether parents should be permitted by law to smack their children, the NZ Herald ran a series of articles profiling contributors to the 'smacking debate'. On 13th July 2009 Professor Margaret Mutu appeared on MTV's "Native Affairs" as part of a panel convened to talk about the foreshore and seabed issue. Other panellists included Hone Harawira (MP for Taitokerau - Maori Party), Tom Bennion (Editor of the Maori Law Review), Sir Doug Graham (a former National Party Minister of Treaty Negotiations), Debra Coddington (a former ACT MP) and Hugh Barr (secretary of the Council of Outdoor Recreation Associations). Professor Mutu focused on Ngāti Kahu’s position.